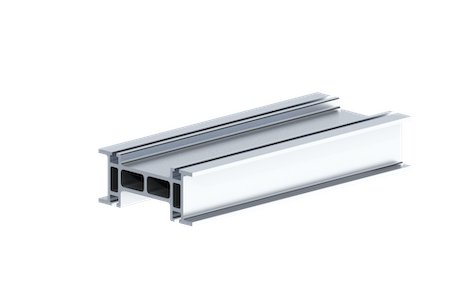 Knight’s HAD3000 Engineered Aluminum Rail Series has a Chambered Rail design that is extruded from a lightweight, high-strength aluminum alloy. 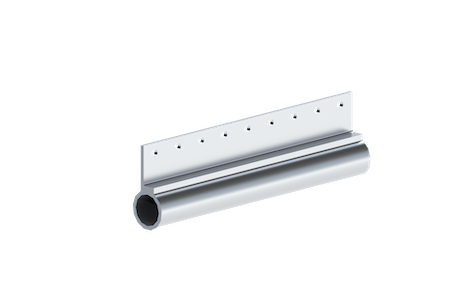 The lightweight aluminum rail eases installation and reduces overhead requirements. The HAD3000 Series Rail is the ideal solution for light duty applications, work benches and stations, festooning management and light fixtures. This series can also be used as a fluid power distribution system for non-caustic fluids and can serve as a manifold, providing more CFM to pneumatic powered tools when compared to black pipe. The HAD3500 Series Rail can also be used for light duty applications, such as weld guns, work benches and stations, festooning management and light fixtures. This series, combined with nylon trolley wheels, provides the lowest friction in the industry. 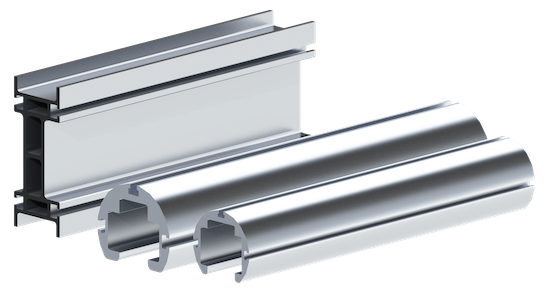 The LRD9500 Engineered Aluminum Linear Rail is for post-mounted or floor-mounted applications that require low friction horizontal movements. It is capable of handling direct and offset loads. 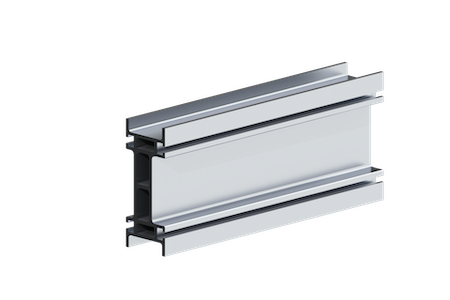 Linear engineered rail is a lower maintenance alternative to hardened ground rail and bearings blocks. 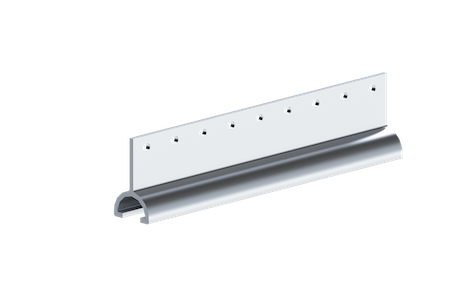 Linear rail is most often mounted in horizontal configurations using carriage mounted pneumatic arms. Overhead and Floor Mounted Configurations. Pre-Drilled Ports every: 5 ft. [1.3m]. NPT Air Outlet Connector: 3/8 in. [9.5mm] or 1/2 in. [12.7mm]. NPT Plant Air Inlet Connector: 1 in. [25mm]. Up to 600 psi when used for Fluid/ Air. Rail Lengths: Up to 20 ft. [6m]. Can be used as a Fluid Power Distribution System and a Pneumatic CFM Manifold System. Modular Connections to Structural Supports. Supports carriages and pneumatic arms. Carriages are designed for cantilevered and direct load applications. Knight Global follows material handling industry standards in determining the capacity ratings for enclosed track overhead workstation crane systems. Each component (e.g. rail, hangers, trolleys, etc.) is individually tested to establish its ultimate failure point. From this number, a safe working load is then assigned to the component. Each rail span length is then tested to determine the maximum single point load required to achieve a predetermined deflection based on a 1:350 ratio (1″ of deflection for each 350″ of length). The recommended rated capacity chart is based upon single point loading for the listed spans. 3.97 lbs. ft. 6.33 lbs. ft. 7.10 lbs. ft. 10.46 lbs. ft. Note: Test data was performed within a controlled series of (5) push/pull tests. Wall mounted 4 ft. cantilever.